" From Dusk till Dawn "
Black shortsleeved & round-necked t-shirt for men, with a large, two-colored discharge print in dirty white & red on both sides and a stitched logo-patch on the sleeve. 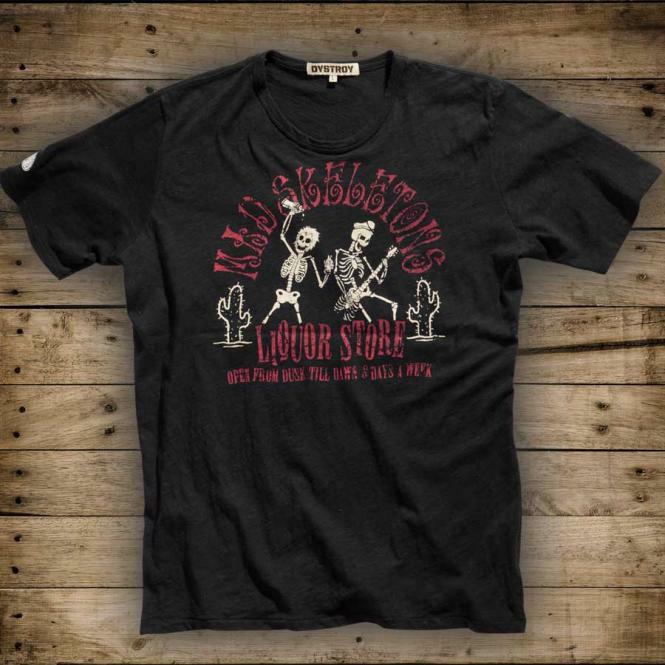 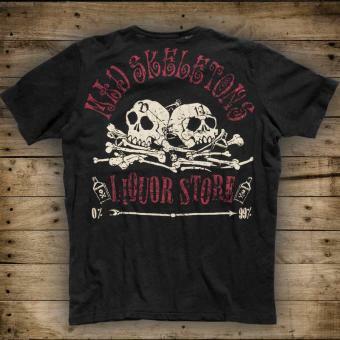 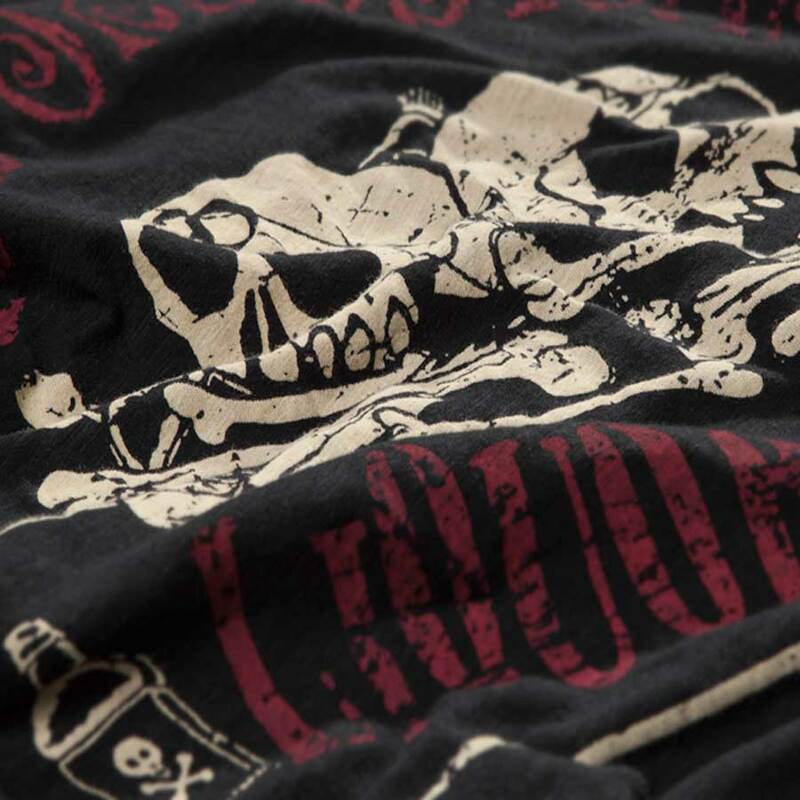 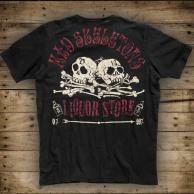 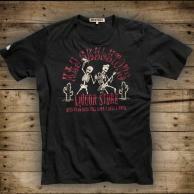 With your Mad Skeletons shirt you´ll be No.1 in the meanest nightclubs south of Tijuana !! 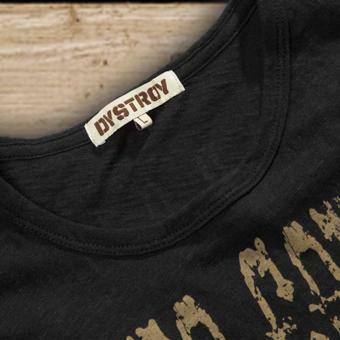 Dystroy Shirts are an absolute must have for those who want subculture inspired graphics, an authentic vintage look in an XL yet fitted garment. 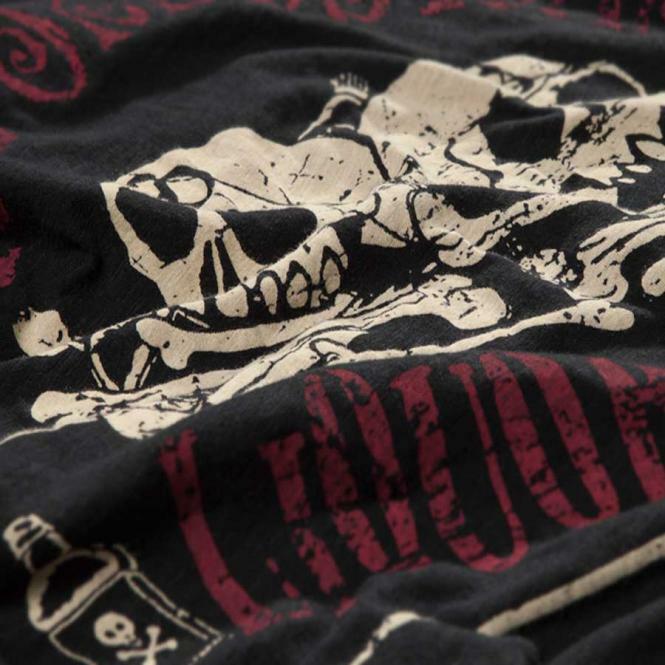 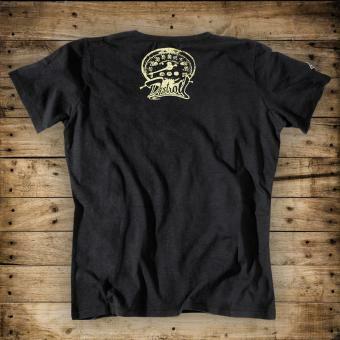 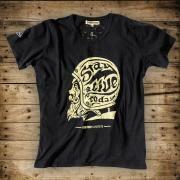 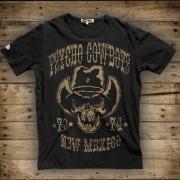 Our Shirts consists of 100% high quality cotton embelished with a discharge print. 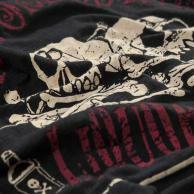 The printing process uses a bleaching ink that separates and extracts colour from the garment and replaces it with another. 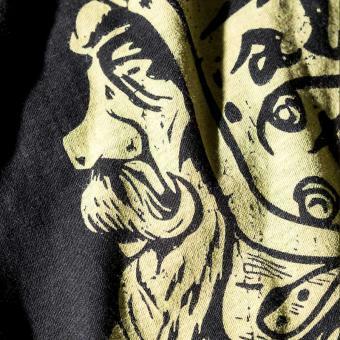 It results in a print that can’t be felt on your skin while wearing. 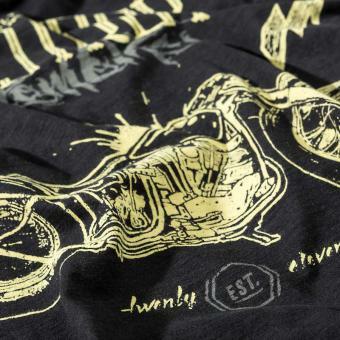 Wash after wash the graphic print only gets more ingrained in the fabric and transforms your Shirt into a quality vintage look garment. 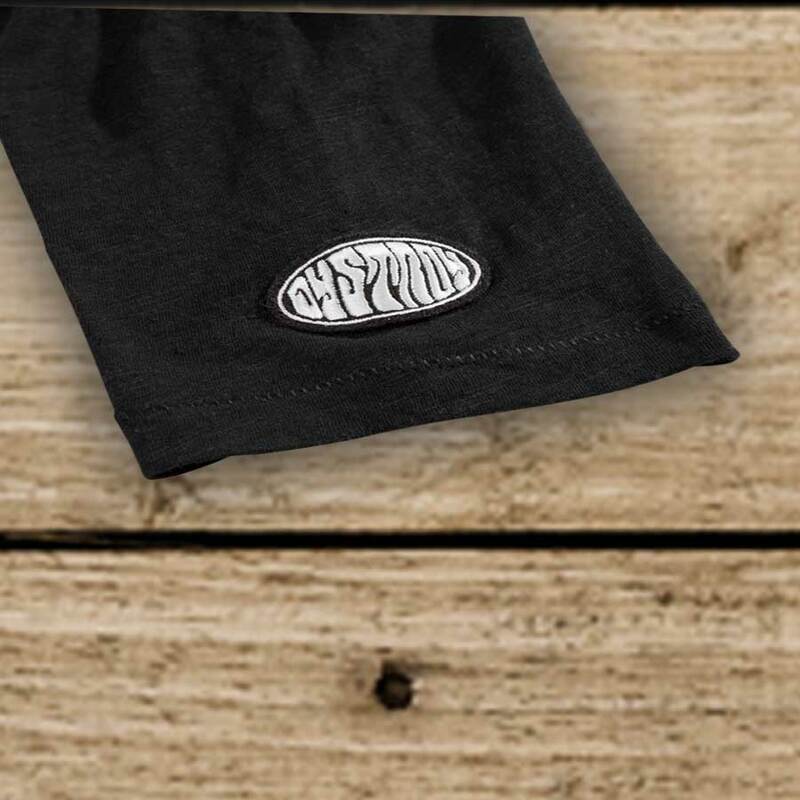 The slub yarn stitch adds to the vintage look with it’s irregular pattern. 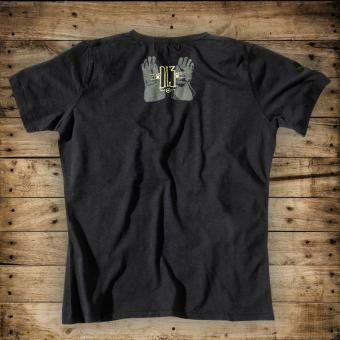 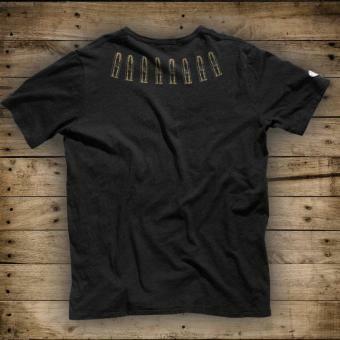 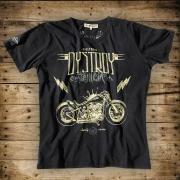 The Dystroy Shirt is availbale in L - 3 XL and is therefore exclusively designed for all the big boyz amongts us. 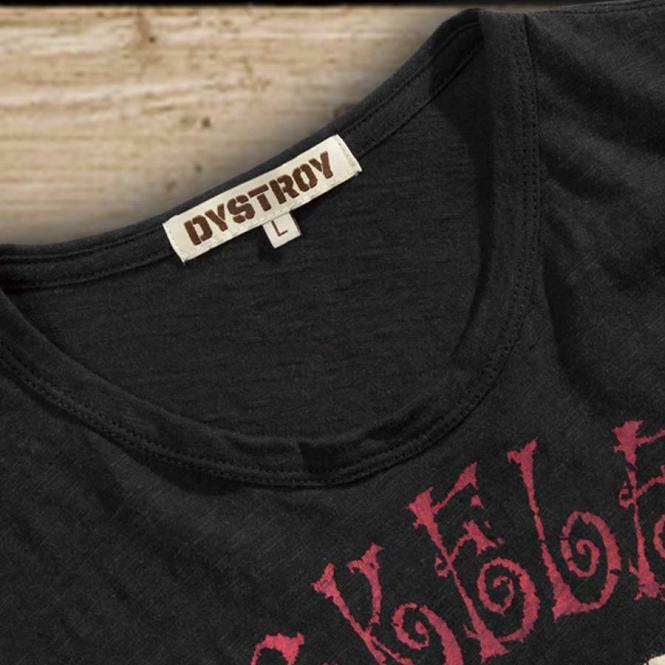 … buy it Raw and Rock it Vintage ! !